Visitors to Tacugama often ask how many wild chimpanzees there are in Sierra Leone, and until 2010, the honest answer was that nobody knew. In the fifteen years that Tacugama has been operating, we have been continuously receiving orphaned chimpanzees from across the country. 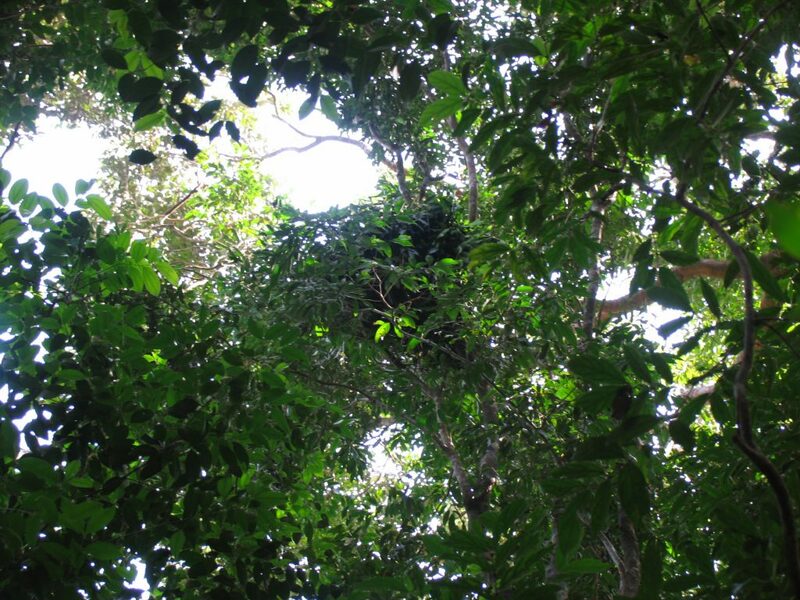 It became increasingly urgent to determine an accurate estimation of the number of wild chimps in Sierra Leone, and to confirm where chimpanzees could be found – whether in protected or non-protected forest reserves. We needed to know the real situation so that more effective protection measures could be implemented, and the flow of orphans to the sanctuary could be stemmed. With support from PASA (Pan African Sanctuary Alliance) in April 2008, we prepared a proposal for the census, gained approval from the Government of Sierra Leone and raised enough funds to start the initial phases of the project in October 2008. The census fieldwork concluded in May 2010 and preliminary results were released on 1 June 2010. The final report was released in September 2010. 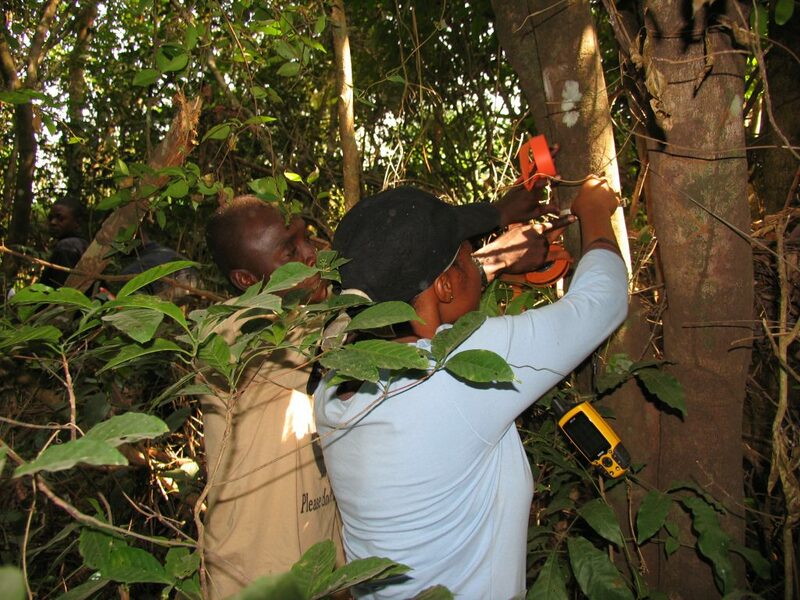 The project has provided much valuable information regarding the state of habitat, impact of humans and other large mammal species, as well as the distribution of wild chimpanzees across Sierra Leone. Delivering the census project has been a major achievement for Tacugama. As the sanctuary moves forward the challenge is to ensure that we use the census results practically to secure the long term survival of chimpanzees in Sierra Leone. 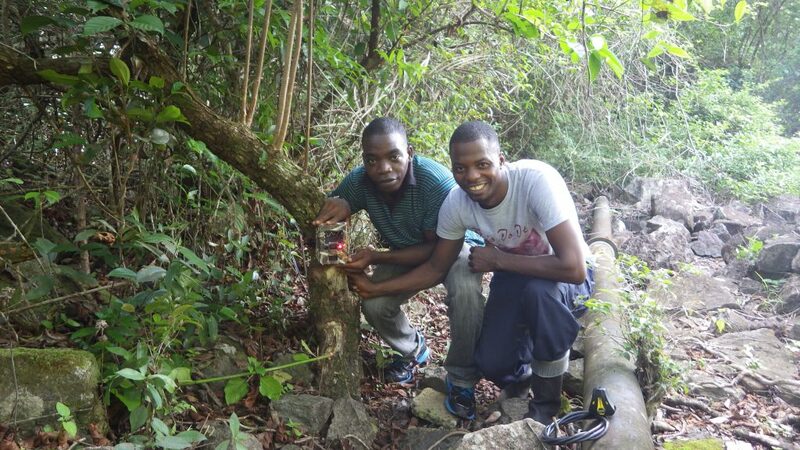 The final results show that Sierra Leone is home to around 5,500 chimpanzees. Although this gives some hope for the survival of the endangered Western Chimpanzee (Pan troglodytes verus), it was discovered that over half of these chimps are living outside of protected areas, and are therefore subject to extensive conflict with humans due to the competition for habitat and resources. Click here to download the full 2010 census report. Counting chimpanzees across an entire country is a complicated task. Because it is impossible to actually count each individual chimpanzee, some sort of estimate must be made. Chimpanzees may occur in many different habitat types and we use several different methods, each one specific to the type of habitat to be surveyed. Chimpanzees are difficult to spot in the wild, so we look for signs left behind. Signs can include direct sightings, feeding remains, dung, or nests. Nests are the most commonly observed signs. Chimpanzees create a new nest each night to sleep in by bending branches into a solid bowl up in a tree. These can remain intact and visible for up to several months. The census team was led by Dr Terry Brncic, with a PhD in Tropical Forest Ecology from Oxford University, UK. 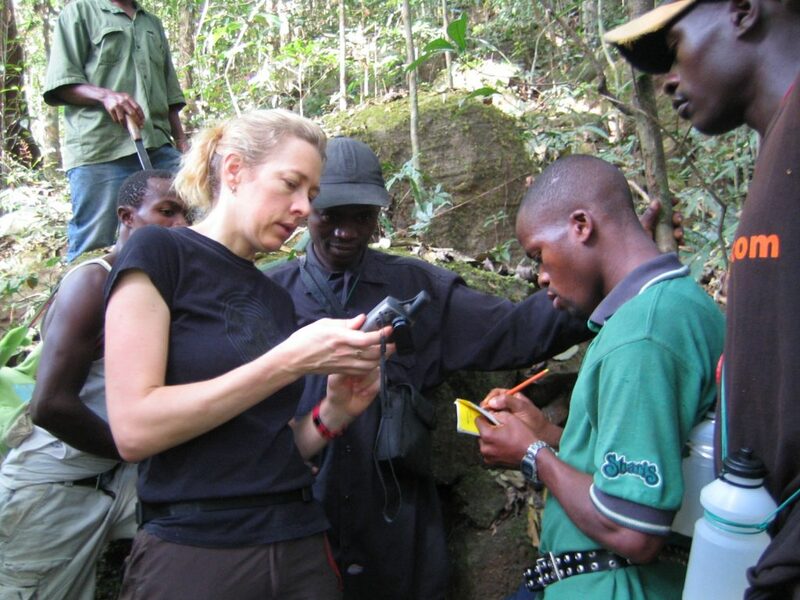 She had spent several years carrying out fieldwork in central Africa on the ecology of gorillas and forest plant species. The team worked through all weather conditions, spent weeks at a time living in basic conditions in the bush, and walked through some extremely challenging, but stunning, terrain. 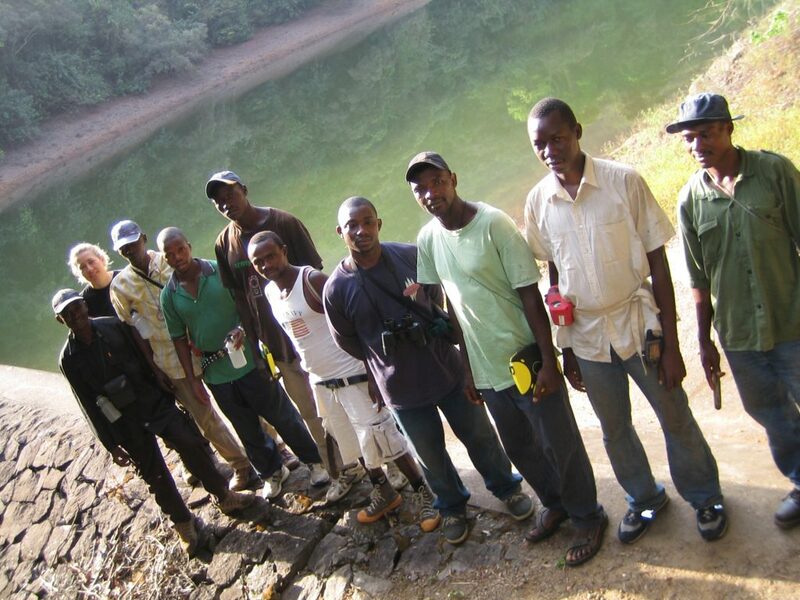 Over 15 months of fieldwork they interviewed over 900 communities, walked 670km of transect surveys (not including walking to/from transects, communities and reconnaissance walks) and took several thousand photographs. They were joined by people from many of the communities visited who were hired as guides, porters and cooks to support the project.